In the midst of the scorching summer heat, we’ve decided that the only logical way to cool off is via several frozen cocktails; and you know we’ve worked our way around Brisbane’s restaurants and bars to bring you the best. This season, make sip happen. Unfortunately, sweat is not the next hottest beauty trend, so make the zest of summer by the riverside with Stokebar Q’s Yarra Valley frosé with fresh strawberry and citrus zest. King Street’s new Tex-Mex eatery El Camino Cantina is coming through with all four of their famous margarita flavours available frozen! 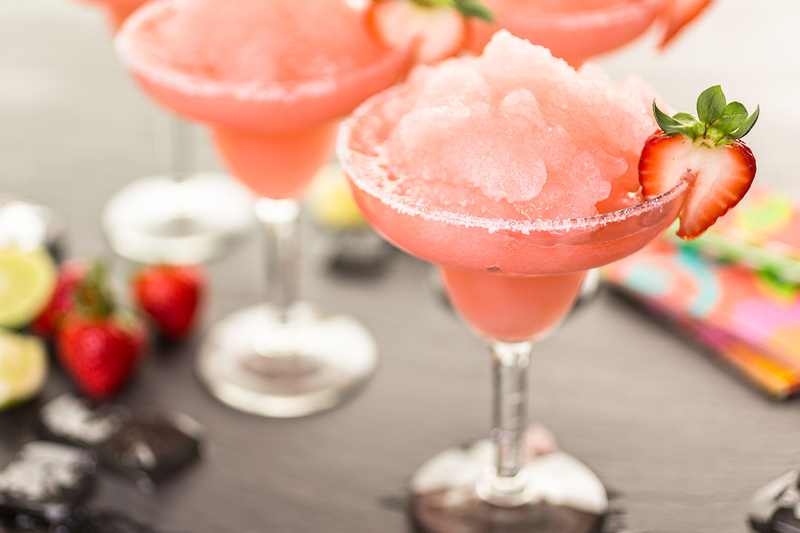 Think the classic marg, mango, strawberry, or the ‘rita of the month. Forget 7-Eleven, the only slushies we’ve got our hearts set on are the two exceptional options from Little Big House! Enjoy the seasonal frosé with East rosé, wild berry, and lemon, or take a shot at the Pina Colada slushie with Bacardi Carta Blanca, coconut and pineapple. Inner city life, inner city pressure – Comuna Cantina is coming to save ya. As well as Latin street food, this restaurant features an entire menu of mouth-watering cocktails including the hurricane colada with Havana Gold rum, Cointreau, orange juice, passionfruit pulp, coconut cream and mango syrup served over crushed ice. We know this weather’s hotter than the annual Australian firefighter’s calendar, but before you migrate to the Arctic and live in solace with penguins, escape the heat at Salt Meats Cheese for a refreshing Aperol Spritz frosé made with Aperol, rosé and prosecco. - The gourmand who’s cooler than ice cold. Let’s face it, summer is pretty gosh darn hot. “Stop trying to make spring happen. It’s not going to happen,” – Mother Nature, probably. Well, we just got gnocched off our seats.